I'd like to wish everyone a very Merry Christmas and the happiest of holidays! 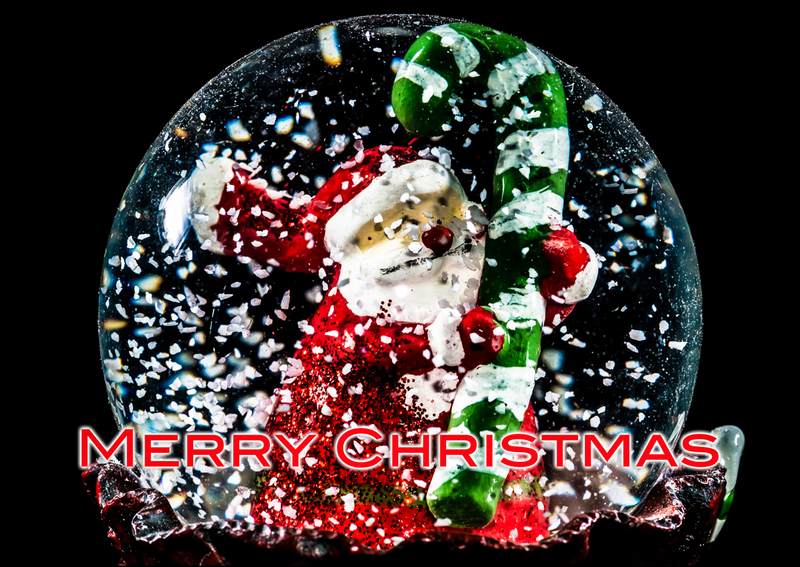 This year I chose to make my Christmas cards using this image of Father Christmas inside of a Snow Globe. I'm not completely sure why he's holding onto what appears to be a very large green and white striped candy cane, but I'm guessing that it's his present to himself! I hope you all have a wonderful day, and that he brought everything that you wished for.